Is It Possible to Travel with Medical Cannabis? Traveling with marijuana is no longer difficult. Nowadays, it may be possible for patients to take their cannabis medicine with them while traveling and not face any legal trouble. However, when it comes to weed, the devil is often always in the details. Here’s everything you should know when it comes to traveling with medical cannabis. Currently, around 30 states in the US and the entire Canada have legalized the use of medical cannabis. However, carrying medical cannabis in these countries is still not recommended and definitely not in North America. 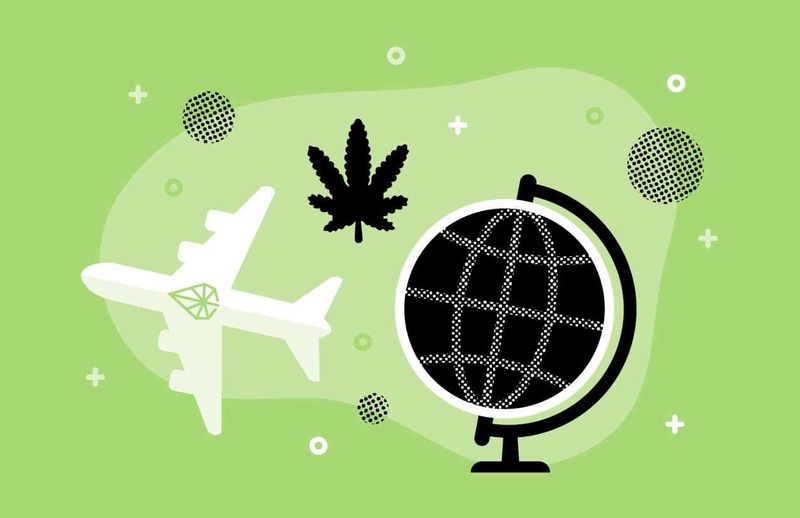 Whether you’re traveling by air or land, just avoid carrying your cannabis medicine or you could be slapped with criminal charges and serious legal problems. The interstate highways of the United States belong to the federal jurisdiction. If in the event that you are stopped and your vehicle is searched by a state trooper and it happens to be a state where medical cannabis is legal, it’s up to the officers to decide. They could either confiscate your medicine or worse, arrest you. Legislation of medical cannabis is not harmonized across the EU. If you’ve got a prescription, then it may be possible to carry your medicine abroad and carry up to 30 days’ worth of medical marijuana. However, you need to secure a whole lot of paperwork. This could involve lengthy periods of waiting before the authorities can approve your request. In the Netherlands, Dutch patients prescribed with medical cannabis may need to obtain relevant documents that include a 30-day Schengen Certificate. This certificate allows patients to travel legally to 4 Schengen area countries while bringing their cannabis medicine with them. However, when traveling to the other 26 Schengen countries, a medical certificate in the English language may be required. The Schengen Certificates should bear a signature of the patient’s doctor and approved by the Central Administrative Office. Medical certificates are also needed, which must be valid for use up to 1 year and must also be signed by the doctor and approved by the Ministry of Foreign Affairs. It’s a good idea to get in touch with the embassy of the country you want to visit just in case you need to secure additional paperwork for your cannabis medication and learn more about local cannabis laws. What Kind of Medical Cannabis Can You Carry? You cannot take an entire bag of homegrown cannabis abroad. Currently, there are only a few medical cannabis kinds that you can legally carry with you. As stated by the European Monitoring Centre for Drugs and Drug Addiction, only a few “authorized cannabis-based medicines” are considered legal. Dronabinol capsules, nabilone capsules, nabiximols sublingual spray, and five strains of the cannabis flowers from Bedrocan are the only legally authorized cannabis products in the EU. In 2019, once the first medical marijuana crops are harvested in Germany, this list is expected to grow. Next PostNext Is Medical Marijuana Effective for Autism?